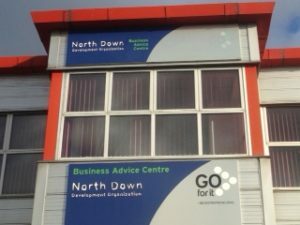 NDDO was established in 1984 and is the Local Enterprise Development Agency for the area – it was set up as a company limited by guarantee and achieved charitable status in 2003. It is also a member of Enterprise Northern Ireland – a partnership of enterprise centres which provide a NI wide network of support for prospective and established businesses who have chosen the self-employment option. The Organisation reinvests any surpluses back into the community either by provision of affordable workspace or through a wide range of training / development courses. The core objectives are the development of enterprise in the local area and assistance, creation and retention of jobs. The Organisation provides unbiased and ethical business advice and ensures confidentiality of all clients ensuring everyone is treated equally and given whatever form of support they need and if required, are signposted to relevant organisations which are best suited to their individual needs. 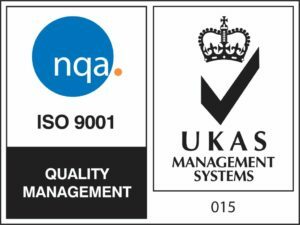 NDDO focuses on maintaining and ensuring quality in all areas is of utmost importance and is reflected in the relevant accreditations attained by the Organisation ISO 9001.2000 along with individual staff accreditations and training. 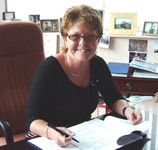 The Organisation has a dedicated workforce who recognise the needs of clients in the area – the Chief Executive has been awarded the Commitment to Business Community Award and an MBE for her work with local businesses and contribution to the area, she also serves on several local committees.